A singer, voice teacher, vocal producer and enthusiastic guide dedicated to helping you become the singer you most want to be. Your voice is a unique gift that the world is waiting to receive. This amazing gift can sometimes bring us more frustration than joy because as singers we are so good at getting stuck in our head (trust me, I’ve been there). My teaching and this site are dedicated to sharing ideas, tools and resources to help you get out of your head and into your body. 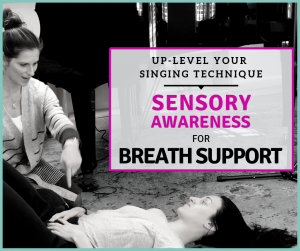 Let me help you build consistency and confidence in your singing so that it doesn’t just sound good, it FEELS good too! You found your calling as a singer and have a lot of vocal training under your belt. But are you thriving as a professional? 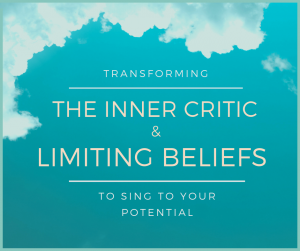 Do you know how to access a deeper layer of potential in your voice that will take you to the next level of your singing and your career? Learn How to Join the Intensive. The ONLY tool we really need to build consistency in our singing does not actually have to do with technique at all. I feel so strongly that every singer can benefit from this tool that I’m sharing it with you in this FREE video training. It is my gift to you for being the dedicated artists that you are! you create meaningful change for your future. studio member-only tips, tools and insights I don’t share anywhere else. There is something I’ve been meaning to tell you. It’s something you may not tell yourself very often so I’m going to say it to you now. You are a wonderful singer.